Redstone circuits allow Minecrafters to build switches that power doors, turn torches on/off, and do way more complicated things if you spend months of your life planning them out. It's a small update with massive potential, as now players can start making in-game calculators and mad stuff like that. Or, if you're like me, you'll just make a zombie squishing machine. Either method's just as fun. In addition to the redstone circuits, Minecraft: Pocket Edition also gets some extras like desert temples that spawn during map creation, and... rabbits! Co-op for the mobile port of Minecraft is limited to 10 local or online players on the same platform. 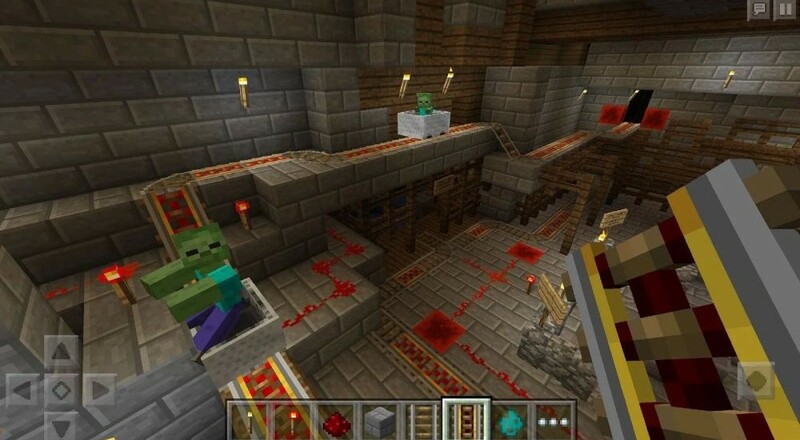 But don't forget the recent update to Minecraft: Windows 10 Edition that makes it possible to link Pocket Edition with its big Windows brother for cross-platform redstone crafting! Page created in 0.6099 seconds.